Anger is a normal and understandable reaction to divorce for both parents and children. You may not feel well equipped to deal with this emotion; however, how you manage the anger for yourself and with your children is critical. Key factors in successfully dealing with this stage involve recognizing the feeling and then finding some healthy, appropriate ways to deal with it. If you find you are reacting to something, find a way to distance yourself from your immediate response. Give yourself time to vent to a friend, sort through your feelings and cool off. Once you have thought things through, then re-approach the situation. If the issue involves the other parent, instead of waging a personal attack, stay focused on the issue at hand. At all costs, do what you can to appropriately manage your anger so that your children do not end up paying the price. Other ways to manage your anger might involve exercising, writing, deep breathing, talking to a friend or finding professional, religious or spiritual guidance. Most importantly, find healthy ways that work for you. It is also advisable to use some discretion when getting feedback or advice from others. Anger can often leave us feeling very vulnerable. While family, friends or co-workers may have good intentions, remember their perspective may be biased. There will be times when the advice you receive from others is not right for you or your children. Therefore, choose your support people wisely. Seek out those who are able to listen and support you in a helpful and comforting way, rather than those who want to help you fuel the fire. Schedule a time to talk with your child about the situation and give them a chance to share how they feel. Make a list with your child of at least 3 to 5 healthy acceptable ways they can express their anger. Good examples are shooting hoops, running, taking a walk outside, writing why they are angry in a journal or diary, drawing their feelings, stepping away from the situation, counting until they cool off, deep breathing, taking a walk or talking to someone they trust. Let your child know what will happen if they choose an inappropriate way of handling their anger. Make sure the consequence is both age appropriate and enforceable. 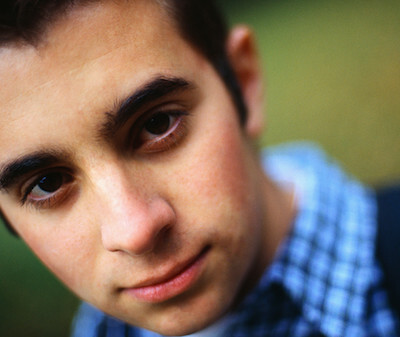 For example, with a younger child you may say, “If you throw your toys at Sally when you’re angry, then we will put the toys away for the rest of the day.” For a teen, you might consider withdrawing a privilege that relates to the misbehavior, such as taking away driving privileges because they took the car out when they were angry. Make sure you specify the time limits of consequences for all age groups. **For more practical tips and success strategies, check out PARENTING APART, the book. Providing separated and divorced parents the tools they need to raise HAPPY and SECURE kids. 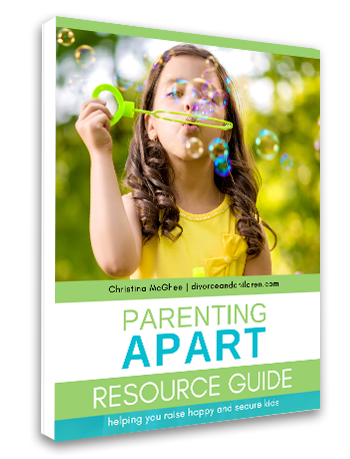 As a subscriber, feel free to preview a complimentary sample chapter of PARENTING APART or take a look the table of contents to see what it has to offer.